Cindy Nell-Roberts spoils lookalike daughter Aenea with gorgeous princess party for her 4th birthday – see the pics! Little Aenea is the spitting image of her beautiful mom! 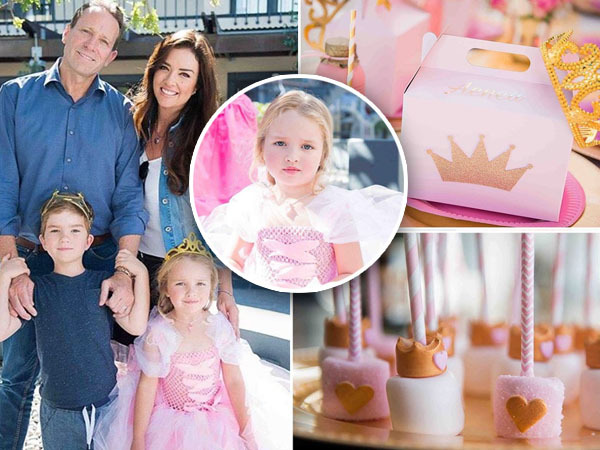 Former Miss South Africa Cindy Nell-Roberts spoilt her daughter Aenea with a beautiful princess party for her fourth birthday. "My baby girl turns 4 this week and she takes my breath away!" she shared on Instagram. I'm the luckiest mommy in the whole wide world”. She also shared exquisite professional pictures of the gorgeous décor on her facebook page. in sosiale media gedeel. Dressed in a pretty pink gown and gold crown, the birthday girl was every inch a princess on her special day. Her brother (5) was just as regal in a gold crown of his own. Cindy and her husband Clive also featured in the stunning photos. By the looks of things, Aenea and her little friends thoroughly enjoyed themselves, playing happily surrounded by pretty pink ribbons and balloons. Even the food was Anea’s favourite colour – the guests munched on pink marshmallows, cake and crown-shaped cookies. The little princesses also got pink party boxes filled with goodies to take home to their castles. Can we come to the next one, Cindy?